Live radar, current weather, and forecasts. Is there a better alternative to WeatherRadar? Is WeatherRadar really the best app in Weather category? 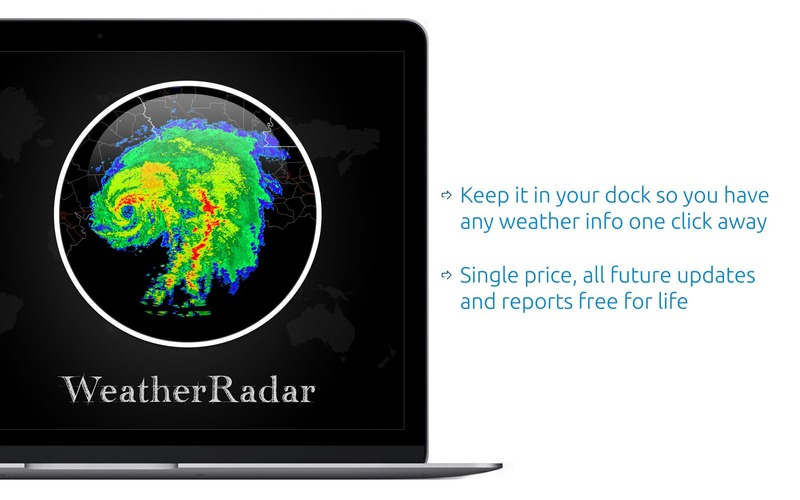 Will WeatherRadar work good on macOS 10.13.4? WeatherRadar needs a review. Be the first to review this app and get the discussion started! WeatherRadar needs a rating. Be the first to rate this app and get the discussion started! 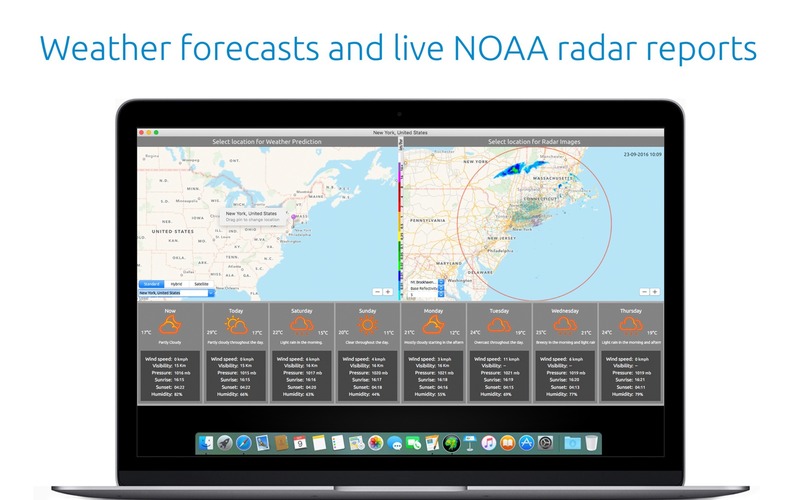 WeatherRadar gives you live radar images and current weather, as well as forecasts. 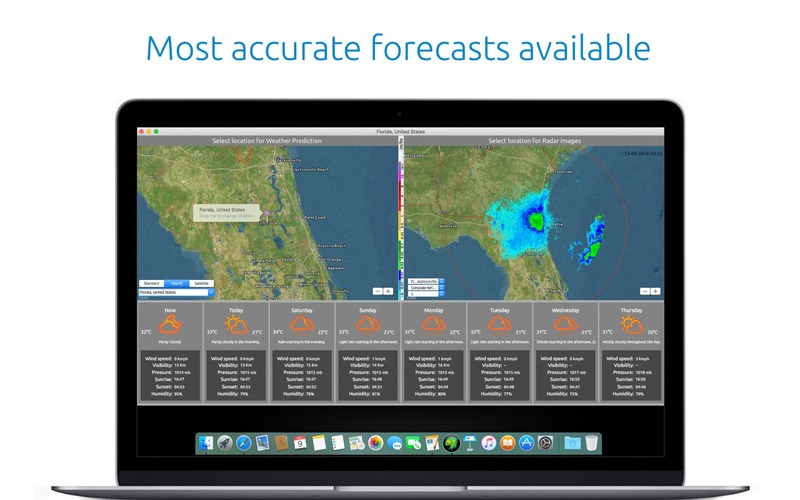 Just select a location, either by name or pointing on the map, and get both the weather forecasts and the radar images for that location, if available. All 155 NOAA radar stations are available, with their latest radar images. 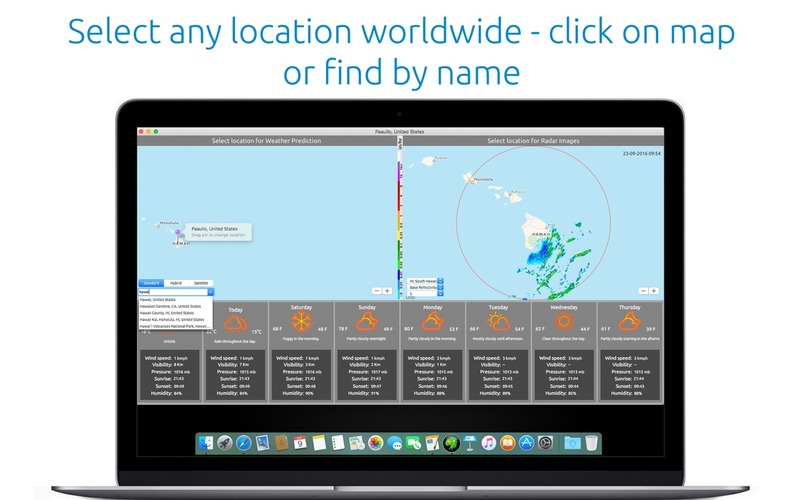 Detailed weather conditions and week forecast from any location worldwide. Accurate, premium weather forecast data from Dark Sky. Navigate to any place on the map and get the current weather and forecast shown straight away. Keep the app in your Dock so you have all weather info and forecasts available to you with a single click.